Whether beginner or advanced – skiing is a great experience for children. 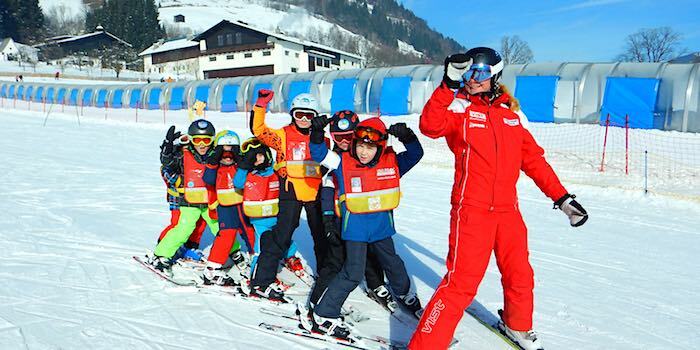 Our children’s ski courses offer safe skiing instruction with a team of well-trained ski instructors and lots of fun for your children. Groups are divided according to age, ability and needs. This guarantees the most success with learning as well as being fun. We also have a lot to offer for future racers. Precision technique training, and fast downhill runs don´t leave any room for boredom. Every Thursday we have a race (including certificates and medals) to finalize a great week! This is a highlight for kids and parents! 〉 Group lesson (Ski & Snowboard) available from 16.12.2018 on! The Ski School operates continuously through Christmas/New Year. Between 23.12.2018 – 07.01.2019 it is possible to start a course almost every day!! Price: 13 € per day (inkl. lunch and drinks). Through Christmas/New Year (23.12.2018 – 07.01.2019) the Ski School operates continuously and it is then possible to join/ start a course almost every day! During lunch time we can look after your child and you can enjoy your holiday. Price: 13 Euro per child / day (including supervision, meal and drink). For lunch supervision please sign up at one of our offices after your arrival or on first day of lesson! 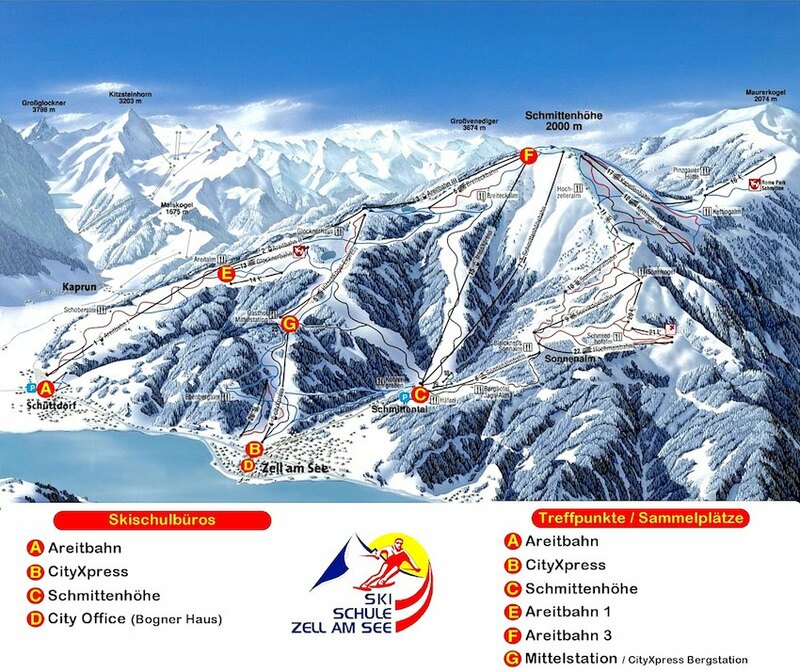 Beginners do not need a ski pass on the first days at our location Areitbahn and Schmittenhöhe . Children* born 2013 or younger are transported free of charge! We have our race to finish up every Thursday, with certificates and medals. Please ask the instructor when and where! In Salzburger Land, helmets for children on the slopes are required. In addition, safety is very important to us. For this reason, all children under the age of 15 receIve a free helmet included in their rental. Please come to the meeting place on the first day at least 15-30 minutes before the lesson starts! 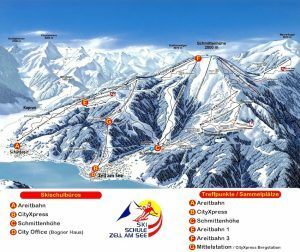 Book our All in One savings package before your holiday and enjoy all the advantages of the Intersport Service Network and the Zell am See Ski & Snowboard School. This offer is only available with online bookings 2 days before your arival!